A stock market has become direction less it is moving up and down. All Investors are in confusion stage where to invest their money for the better return. In order to help them here is a list of top 7 best consistent performer stocks since past 3 years. These stocks are even expected to give better returns in future. So, here are best consistent performer stocks since past 3 years. Kwality limited is food processing company dealing in multiple food products. 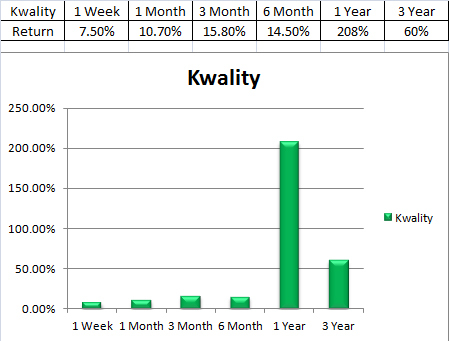 The stock of Kwality limited is constantly giving positive returns. In past, one year stock has given more than 200% return and in past three years, this stock has given 60% return. Trident is Textile and Spinning Company. Before 3 years Trident was a penny stock. 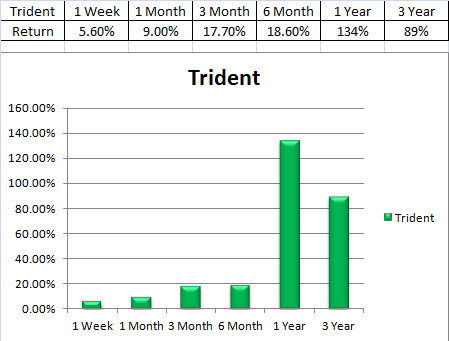 Trident has grown multifold and given magnificent returns to an investor. The stock was able to generate 134% return in past 1 year. 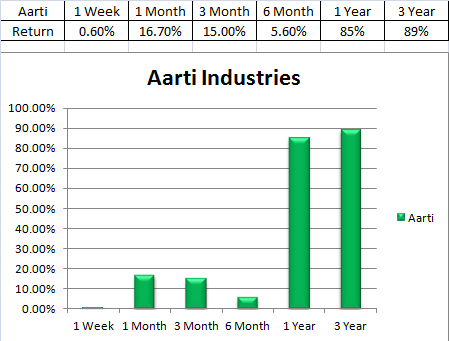 Aarti Industries Limited is dealing in chemical and pharmaceutical business since several years. This stock could able to generate very good wealth for an investor in past few years. In past, one year stock has generated 85% returns. 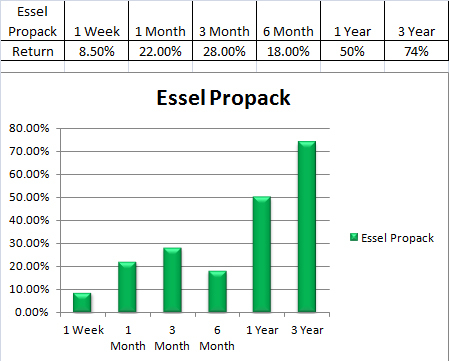 Essel Propack is tube packing company dealing in manufacturing of laminated plastic tubes for FMCG and Pharama space. 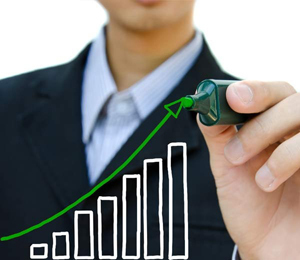 This stock is giving consistent positive return to the investor. In last 3 years the stock has generated 74% returns. 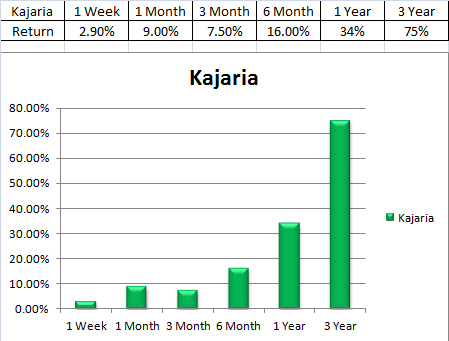 Kajaria Ceramics is next on the list of consistent performer stock. Kajaria Ceramics is in manufacturing business of tiles and ceramics. Kajaria Ceramics can be a good bet for the investor. Blue Star is one of the largest air conditioning company in India. 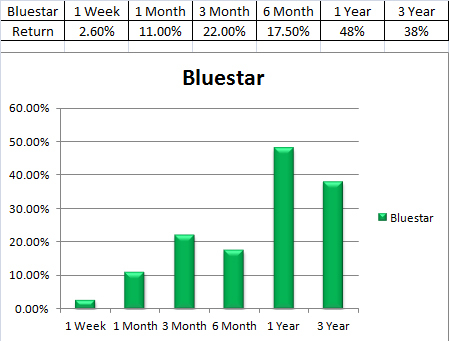 Blue Star is constantly performing well since past few years. It is summer time and sales of air conditioner are about to increase which will be beneficial of this stock. Supreme Industries is one of the largest plastic processor based company of India. 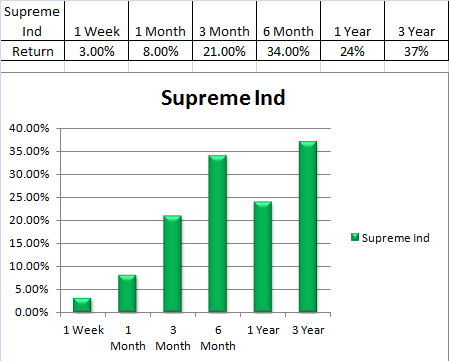 The profit margin of supreme Industries is increasing. The stock is constantly performing better and you can plan to invest your money in Supreme Industries. Note – All returns are CAGR from April to April. As per me, it is very good idea to invest in the stocks mentioned above. All these consistent performer stocks are expected to give better performance in future.